The live album has been a staple of rock music for decades. And capturing album-ready performances from a live concert has been the goal of many a musician, producer and engineer. 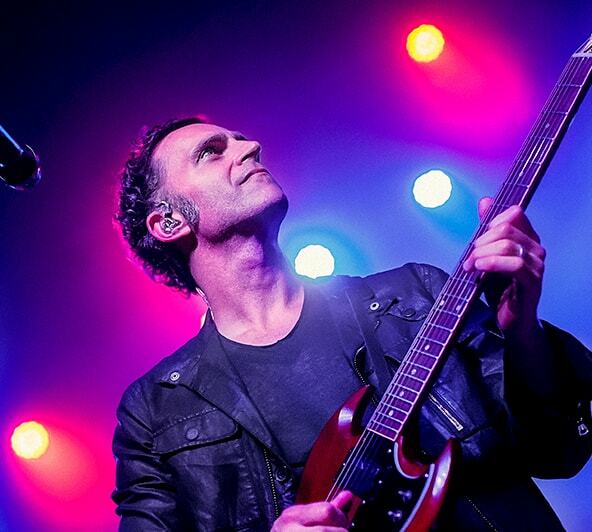 We caught up with mega musician and guitar virtuoso Dweezil Zappa during his Choice Cuts World Tour to learn how he used the eMotion LV1 live mixer not only to mix his recent live shows, but also to produce and mix the live tracks on his Live in the Moment II album, which features improvised live guitar solos from his years on tour alongside rare demos and instrumental tracks recorded in the studio. 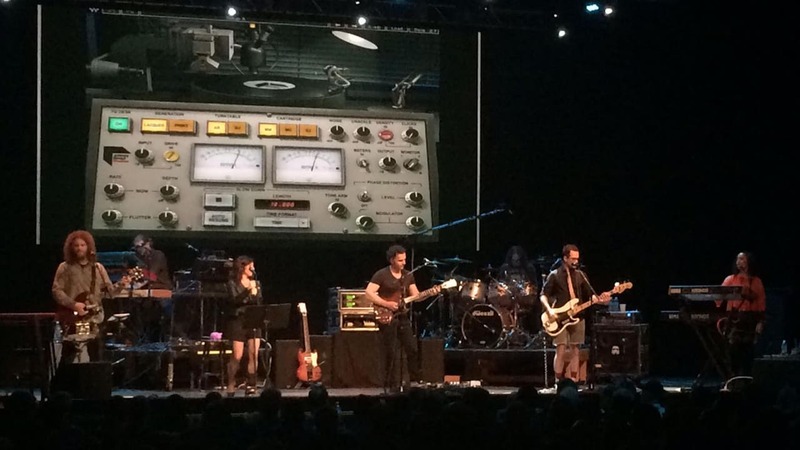 Dweezil, mixing an album on a live mixer is not a common decision. How did you decide to go ahead mixing this album on eMotion LV1? When I started using the Waves eMotion LV1 system for my tour, there was an immediate improvement to the individual mixes that the band had in their in-ear monitors. This translated into more consistency and better performances by all the musicians on stage. When you’re really comfortable with your own mix, it makes every aspect of the music performance better. The front-of-house experience for the audience improved drastically as well, since with the LV1 there were so many great plugins now available to control, shape and enhance the sound. The major change in the whole tour production, was the stereo reference recordings of the shows. The power and flexibility of the LV1 system made it possible to overcome the typical issue that plague standard FOH ref mixes, meaning that when things that are too loud on-stage they tend to sound too quiet in the ref mix. Having access to all of Waves’ plugins inside the LV1, coupled with the LV1’s amazingly flexible routing matrix, made it possible to get a record-quality balance for the reference mix on a nightly basis. We were seriously getting results that are finished record-quality, ready to be sent to mastering. 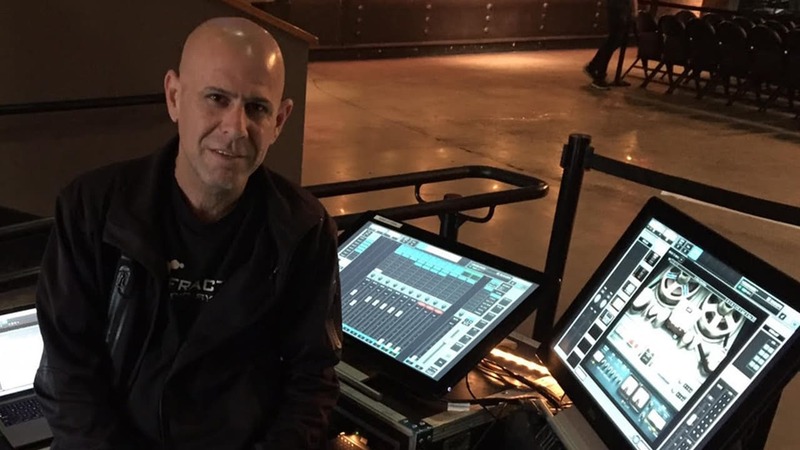 This is also largely due to the fact that our FOH engineer, Eran Ben Zur, is very good at what he does and his gain structure is always spot on as well. This makes it possible for me to have consistency and easy access to post production alterations if I feel like it. All this is incredible, because it allows me to release a lot more material, without having to go into the studio to mix it! I will now be able to upload shows to my website, 24 hours after the show, and make them available to the fans. In short, the LV1 system not only makes stuff sound better, it also creates solutions to problems we typically encounter during live shows, as well as creating opportunities for swift conversion of content, making it a total game changer for live production. How did you prep for the show? I will typically give Eran a show file, which will have all of the upcoming tour songs edited together into a sequenced setlist. This is to check show length and get ideas for how to segue between songs. It may consist of original Frank Zappa recordings of songs we play in the show, or our own recorded performances. We use this master show file for reference during pre-production, as well as to check the sounds and timbre of the instrumentation and other audio production elements like delays, reverb, compression etc. At rehearsal, we begin the process of dialing in these elements and we continue to refine them once the tour begins. We typically listen to the show on the bus after the concert is over, and then make notes on what to improve. Sometimes it may be things that Eran can do from FOH, or it may be stuff that the individual musicians may need to alter in their own equipment. Overall, we do as much prep work as we can in advance of the tour, but we care a lot about the details and continue to check everything throughout the tour. I’m really excited about what I’m hearing on our current Choice Cuts Tour as a result. How did you deal with recording in venues of different types and sizes, in terms of keeping the overall sound in the album consistent? I had an idea in my head about how it would all sound when it was sequenced together and mastered, and it turned out to be a pretty easy process. Most of the mixes in the album are unadulterated FOH mixes. On some occasions we did open up sessions and adjust the balance for certain instruments, especially on nights where the performance was great but the recording suffered from a technical problem, like a bad cable causing random distortion or low levels. All in all, I think everything fits together cohesively. The same drum kit, same mics, same mic pres and same settings definitely helped. Another thing that helps is the interstitial transitions between songs. They act as pallet cleansers between tracks and help to set up new audio environments when necessary. As for drum processing, we start with some intel on where the original albums may have been recorded and what gear was used at that time. So, for example, if we are playing a song from Joe’s Garage, I happen to know that the studio where it was recorded had an API console. We love to get all of the details we can into the audio path, so we try to build the foundation of the sound with emulations of the typical gear of the time: dbx 160 compression, 1176s, API and Neve etc. With the eMotion LV1 snapshots, it’s possible to change all of the audio paths for every instrumental every time we play a new song. It’s amazing. And, Eran just gets great drum sounds and they keep getting better. 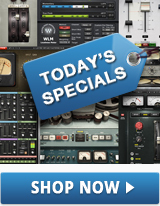 Which DAW did you use for recording record the live shows? On the road, our live engineer Eran Ben Zur uses the Waves Tracks Live multitrack recording software, directly from the mic pres. The L/R recording comes from the outputs from the LV1 master L/R, following Eran’s master bus where he uses Waves plugins like the NLS Non-Linear Summer, SSL G-Master Buss Compressor, J37 Tape and L2 Ultramaximizer. Did all the recordings derive directly from eMotion LV1’s outputs? Most – about two-thirds were done through the LV1. The remaining tracks were from a studio session I did at Winslow Court Studios in L.A. with Craig Parker Adams engineering, and from previous tours done before we started using the LV1. But even in some of those cases we took the hard drives of the older shows and ran the multitrack audio through the LV1 to achieve a better mix. The great thing about the LV1 is that it is as flexible as it is powerful. 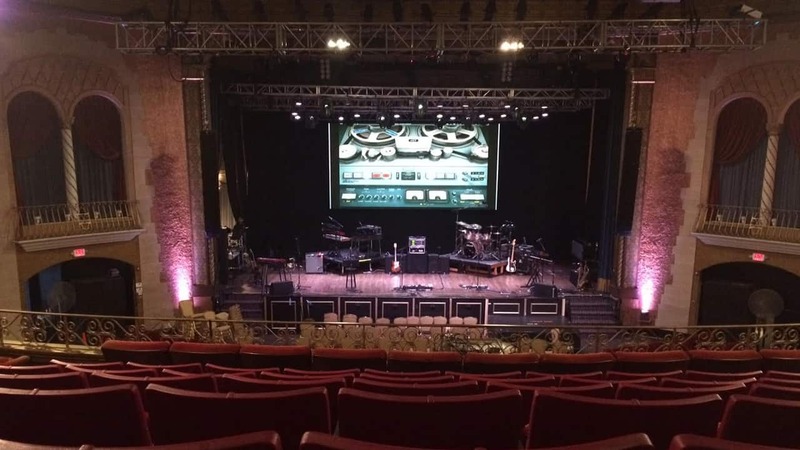 It provides all of the tools an audio engineer could possibly want or need for sound enhancement, creativity and most importantly for live sound: problem-solving. Not only is it great at handling the front-of-house mix, but with the LV1, our in-ear monitor mix has access to all of the plugins as well. It’s amazing to have access to dynamic tools that can protect our hearing and enhance our mix at the same time. An example of that would be multi-band compression and expansion that is targeting harsh high-frequency peaks and low-level sound imbalances in the keyboard bus. Every musician monitors things at a slightly different level, and this setup benefits all of us by reducing the gain when necessary and leaving the bus untouched when the threshold has not been triggered. So, we get the benefit of protection from harsh frequencies directly in our ears and automatic gain increases for low level sounds. 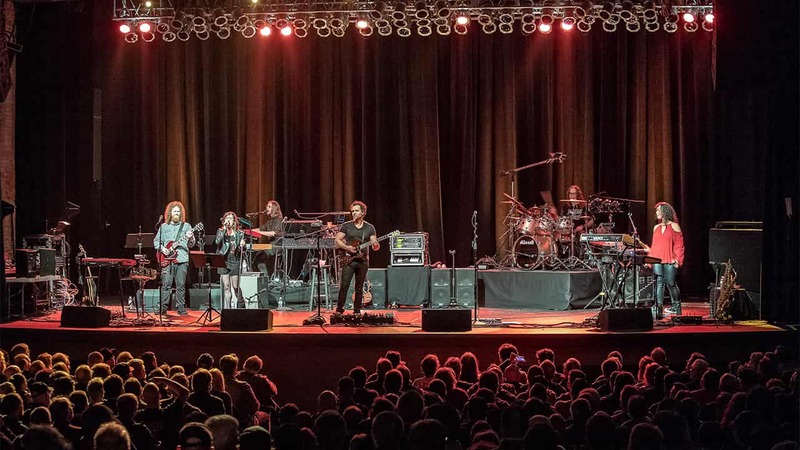 The main thing that this system has allowed me to do, is to have the confidence that we will have great sound in our in-ear mixes, which really increases our ability to perform the music. The fact that I can also capture multi-track audio and stereo references that are studio-quality makes this system an absolute requirement for my tour. NLS Non-Linear Summer in mic-mode on each LV1 channel and assigned via VCA to L/R master bus.